The D2 project is a critical element of DART's efforts to add core capacity and expand access to light rail in the Downtown Dallas Central Business District. In May 2013, a three-alarm fire broke out on the sixth floor of a 10-story building located along the downtown rail corridor across from West End Station. When the Dallas Fire Department ran hoses across the light rail tracks to better access the building, DART had to suspend downtown light rail operations. The agency deployed bus shuttles while the fire was fought and cleaned up. For four hours, from late morning to just before afternoon rush, no trains could get in or out of downtown, affecting the entire light rail system. All four DART Rail lines converge on a single set of tracks through the city's Central Business District. Although convenient and cost-effective, the design creates a bottleneck that impacts rail service - not just downtown, but throughout the 93-mile light rail network. For the thousands of riders and employers who count on DART Rail to connect them to their destinations, traveling by train will become more reliable with the addition of the Dallas Central Business District Second Light Rail Alignment - or D2, as the new line is known. D2 will enable DART to redistribute its four rail lines between two downtown rail corridors. If an incident or malfunction disrupts service along one alignment, some trains could be diverted to the other corridor to keep people moving. The DART Board originally approved a plan to build D2 as primarily at-grade (street level or ground level) light rail. During the development phase, stakeholders told the agency that an underground transit solution makes the most sense for the Downtown Dallas community. Now that D2 is being redesigned as a subway, the agency is refining the Locally Preferred Alternative (LPA) to reflect the most viable underground option. Building a subway changes the scope of the D2 project significantly: shifting the timeline, increasing the cost and adding complexity to both project development and engineering. DART depends on federal funding to finance large capital planning projects like D2. To take advantage of current federal funding possibilities, the agency must solidify the new LPA route by June 2017 and submit a revised project plan to the Federal Transit Administration by September. The agency is seeking funding for D2 from the Core Capacity category of FTA's Capital Investment Grant program. 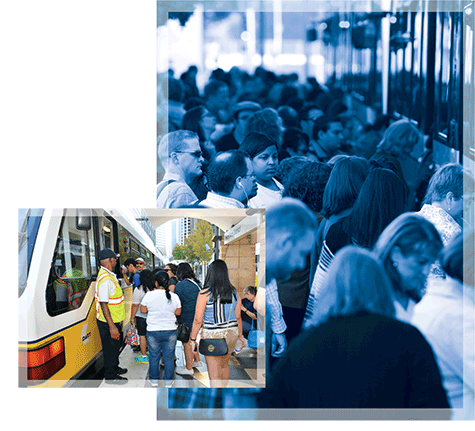 DART is advancing a program of interrelated projects that consists of D2, the platform extensions project and a central streetcar link in Downtown Dallas, which combined would add significant core capacity and enhance access to the DART System.